I’ve always enjoyed drinking tea, but after temporarily moving to a place with huge windows last year, I had to adjust my sleep cycle and swapped the daily coffee routine for tea. (NB: Since then we’ve moved back and my sleep cycle readjusted but I haven’t gone back to coffee). 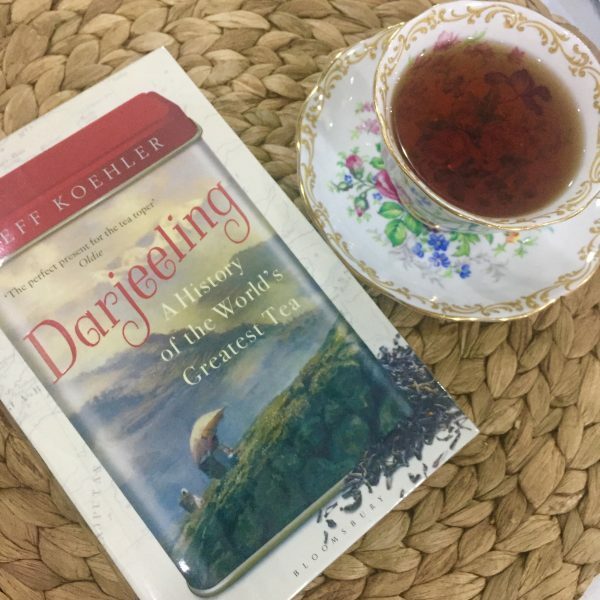 Anyway, I was looking for a book to read with tea as its theme, when I came across the book “Darjeeling: A History of the World’s Greatest Tea” by Jeff Koehler, which was my best book for 2016. While there’s always some Darjeeling in my tea selection, I’m actually partial to the stronger Assam or Ceylon teas, or the mellow Oolong (and quite recently, the fragrant Jasmine), so I wasn’t that keen on an entire book about Darjeeling tea, but I had read a glowing review in The Guardian so I decided to give it a try. It isn’t available here in the Philippines, so I ended up getting the ebook, but I loved it so much I eventually sent out for a copy on Book Depository. What I like about this book is it reads like a fascinating documentary, and gives an overview of tea, the “second most commonly drunk beverage [in the world] after water,” for a good number of pages. I like how it outlines the history of tea and its spread from the East to the West, and observes the differences between Eastern and Western tea drinking traditions — the East “imbued with artistic, religious, and cultural notes” while it gained popularity in the West as an invigorating and pleasurable drink. It also outlines the history of tea both in the East and the West, with key events –from the Buddhist legends on the origin of tea, to its evolution in the East from medicinal brew into a beverage with highly ritualized ceremonies; tea’s arrival in Europe in 1580 via a Portuguese trader, quickly spreading to the Dutch, British and French; the British introducing the addition of milk to tea; the flourishing tea trade, the Opium wars, and the beginnings of tea estates in India; the Boston Tea Party and the Indian mutiny. Of course, the bulk of this book is devoted to Darjeeling, and I must say I actually gained more appreciation for it after reading this book. This delicate brew is touted as the “champagne of teas,” grown in only eighty-seven estates in the far North of India and producing less than a single percent of country’s total tea, and yet stands as India’s most iconic brew (its “flagbearer”), with three quarters of the yield exported around the world. 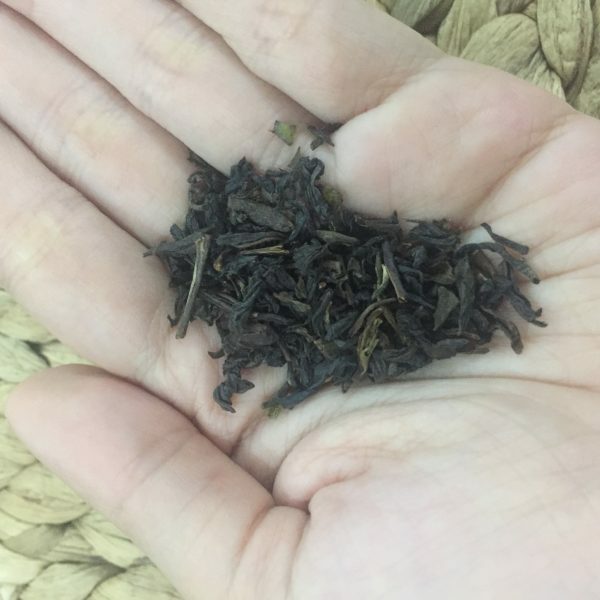 “It takes a staggering twenty two thousand selectively hand-picked shoots — just the tender first two leaves and a single still-curled bud — to produce a single kilo of Darjeeling tea,” the book notes, and that kilo — single origin, unblended and unflavored — can sell for a small fortune. The author actually spends time in several tea estates in the Darjeeling region and talks in depth about all aspects of getting this particular leaf into a teacup: the growing conditions (climate, altitude, and soil), the harvesting seasons (“flushes”) and the meticulous plucking, the manner of processing, sorting and tasting, down to the selling — either via direct selling or auctions. I have handled tea clients before and know the basics of handpicking and CTC (crush, tear, curl) processing, but the last two parts of the process were quite a revelation: the elaborate tasting process (more complex than wine! ), and the exciting tea auction. The book also gives us an insight into the various issues prevalent among Darjeeling plantations: changing environmental conditions, new ownership, and evolving labor practices. At the center of the book is a colored supplement of photos that further illustrate the discussion. Oh, and a bonus to this book is the last section: recipes! From making the perfect cup of Darjeeling, to chai recipes (Masala and Chennai) and an interesting recipe for Tibetan tea (with salt and butter — though where do I get yak dairy products?!? ), and various sweet and savory accompaniments for tea, which I mean to try soon. I don’t think I’ve ever been so immersed in book about a singular subject, and this definitely merits a reread later on. Highly recommended for tea lovers and readers of food history. 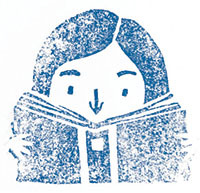 I’ve ordered a copy of this book, too!! Woot! Hope you enjoy it as much as I did.